What are the IMO emissions standards coming into force in 2020 and where do they apply? What are the possible options for ship owners? What are the opportunities for the LNG market? Current state of play – how is the industry planning for the 2020 regulations? The Chinese gas market has entered a new phase of growth driven by favourable policies. 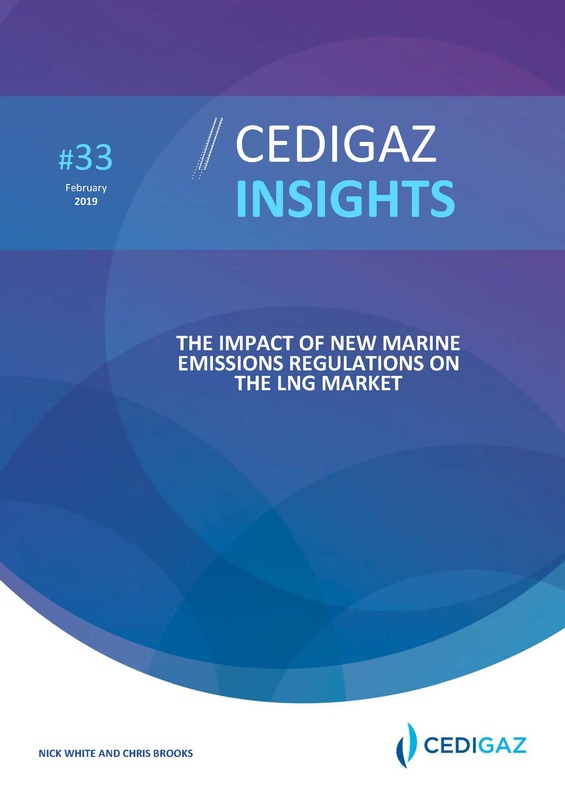 A complete report on the Chinese booming gas market, this CEDIGAZ Insight special issue covers demand, production (including Shale gas and other unconventional gas productions), imports from pipelines and LNG, Chinese energy policies, infrastructure development, medium and long-term Outlook and more. 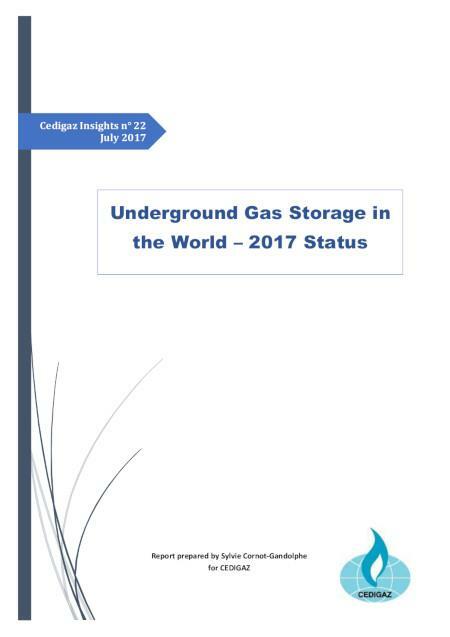 At the end 2017, there were 671 underground gas storage facilities in operation in the world. The global working gas capacity has slightly increased to 417 bcm,up 0.4% from the end of 2016. 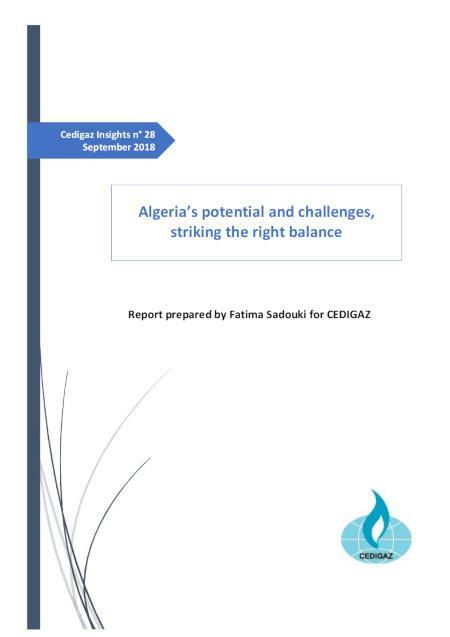 "Cedigaz Insights N° 30 November 2018 32 pages PDF format"
Algeria is facing a new crossroad as its political and socio-economic balance has become increasingly weakened by the consequences of the oil price collapse since 2014. Algeria is faced with stark choices, as illustrated by the interplay between its energy sector and its political & economic challenges and opportunities. Budgetary constraints are putting pressure on its key hydrocarbon industry, which was already suffering from years of underinvestment due to tough fiscal terms, challenging business climate and security risks. The North African nation needs to intensify efforts to revive its oil and gas upstream sector with new projects, avert the long-term production decline at mature fields, whilst meeting growing domestic demand and honoring gas export commitments. The widening fiscal deficit and the rapid erosion of financial buffers since the oil price fell is further increasing the need for foreign capital to boost oil and gas reserves, amid growing competition with other producing nations to attract capital and technical know-how from international oil companies. But the lack of upstream investment is just one of the challenges facing Algiers in its energy sector and beyond. CEDIGAZ Reference Scenario, which incorporates national energy plans and INDC commitments. Natural gas demand grows by 1.4%/year between 2016 and 2040 and plays a growing role in the energy mix at the expense of the other fossil fuels. The gradual shift from coal and oil to natural gas and renewables helps reduce the carbon intensity of the energy system as electrification and decarbonisation accelerate over the projection period. 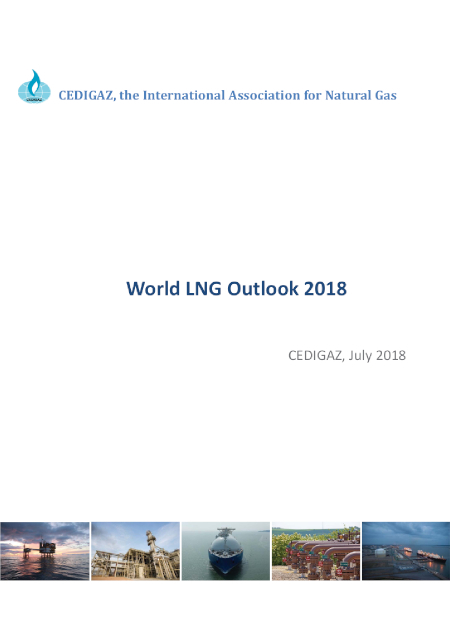 The expansion of natural gas markets is supported by abundant and competitive conventional and unconventional resources, as well as a very rapid growth of spot and flexible LNG trade. 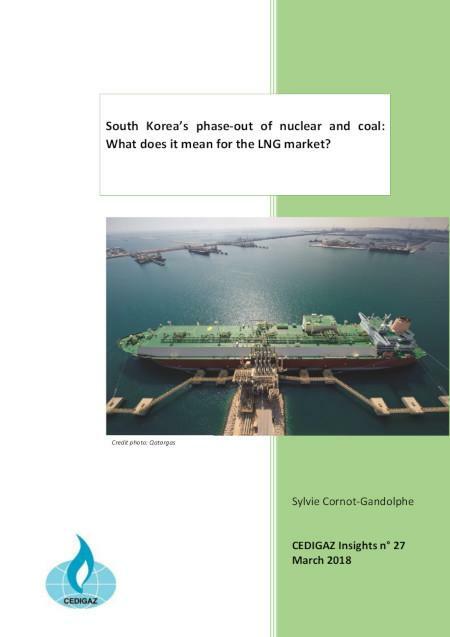 South Korea's phase-out of nuclear and coal: what does it mean for the LNG market? 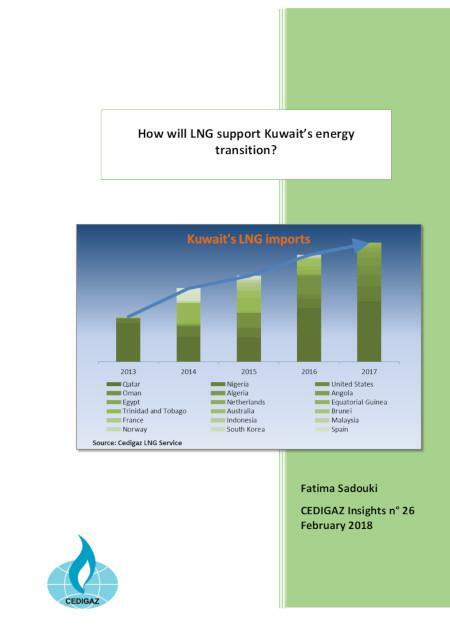 How will LNG support Kuwait's energy transition? Kuwait is mostly known as one of the world's largest oil producing nations and as a leading member of OPEC. But the country was also a pioneer in 2009 when it became the first in the MENA region to import LNG via a floating storage and regasification unit. At the time, LNG was considered a stop-gap solution to address chronic electricity shortages that threatened Kuwait's economic and socio-political stability. Today, Kuwait continues to lead the way in the region by being the first LNG importer to invest in a land-based LNG import terminal. The 22 mtpa facility, for which construction has begun at Al Zour industrial area, is scheduled to come online in 2021. 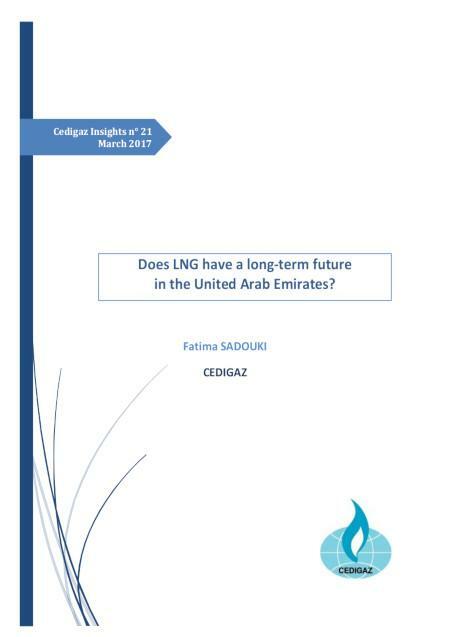 Cedigaz's latest report examines the risks and opportunities of Kuwait's LNG strategy. The EU gas and energy sector is in the midst of a profound transformation driven by decarbonisation, digitalisation and decentralisation. 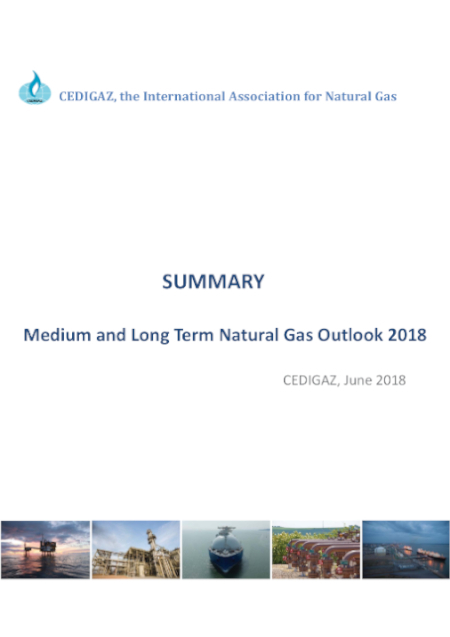 The latest report by Cedigaz analyses in ten key points the evolution of the gas sector and includes forward looking views on new trends in EU gas markets. Thanks to India's rising economy and population, the country's outlook for growth in energy demand is robust. The role of gas in the country's energy mix, however, is hard to determine. Today, India's primary energy mix is dominated by coal and oil. 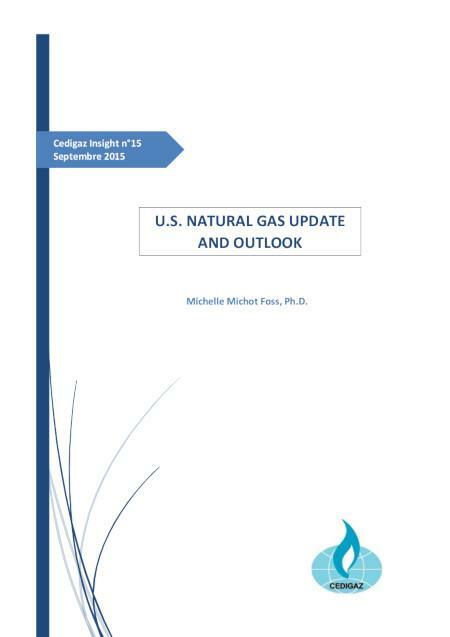 The role of natural gas is limited: only 6% in 2016. But the government wants to make India a gas-based economy and raise the share of natural gas in the energy mix to 15% by 2022, although the timing remains uncertain. 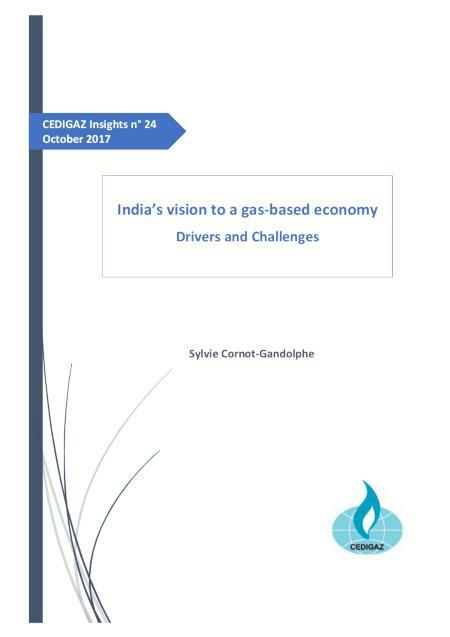 This paper analyses gas demand trends in India by 2025-30 and draws on two reports recently published by the Oxford Institute for Energy Studies (OIES) and the Bureau of Economic Geology (BEG)/Centre for Energy Economics (CEE), University of Texas. Gas consumption in India is driven by five sectors: fertilizer (34% of total gas demand in fiscal year 2015-16), electric power (23%), refining (11%), city gas distribution, including transport (11%), and petrochemical (8%) industries. In 2016, after five years of consecutive declines, gas consumption increased to 55 bcm, boosted by sales to city gas distribution mainly. The country faces a widening gap between indigenous gas production and demand, which is met by increasing Liquefied Natural Gas (LNG) imports. LNG imports surged by 34% over 2015 to 25 bcm in 2016, making India the fourth largest importer in the world. Despite a decline in global coal demand for the second consecutive year, international steam coal prices doubled in 2016. This massive rise may seem paradoxical; in fact, it responded to market fundamentals: a tightening of the international market due to an unexpected surge in Chinese coal imports and the inability of exporters to meet this sudden increase. The surge in Chinese imports was not due to increasing demand – Chinese coal consumption in 2016 fell for the third year in a row– but to domestic production restrictions mandated by the Chinese government from April 2016. To remove excessive and outdated capacities in the domestic coal sector, that weighed on domestic coal prices, the government required coal mining companies to cut operating days from 330 to 276 a year. The new regulation led to a fall in coal production, shortages of coal and a steep increase in domestic coal prices, forcing power utilities to turn to the international market. However, after five years of low prices and reductions in investment, exporters were not able to respond to this sudden demand and international prices increased to clear the market. As of end 2016, there were 672 underground gas storage (UGS) facilities in operation in the world, representing a working gas capacity of 424 billion cubic meters (bcm), or 12% of 2016 world gas consumption. The number of storage facilities has decreased (680 UGS in 2015), mainly due to closure/mothballing of UGS in the United States and Europe. However, the global working capacity has slightly increased (+11 bcm) driven by expansions in the Commonwealth of Independent States (CIS), the Middle East and China. In Europe, storage capacity has continued its decline. Working gas capacity decreased by 5.8 bcm due to the closure of storage facilities in Germany, Ireland and the UK. The temporary closure of the Rough depleted field was confirmed as a permanent one in June 2017. This sharply reduces the UK storage capacity, and especially its seasonal storage capacity. The United Arab Emirates (UAE) is one of the world's longest-established LNG exporters. But despite holding the world's sixth largest gas reserves, LNG imports into the federation increased at an impressive rate since 2010, when the Jebel Ali floating terminal in Dubai started up. With gas representing more than 90% of the power fuel mix, LNG purchases have been key to fill a widening supply deficit in order to match rapidly growing gas-to-power demand. Today, LNG remains at the heart of the UAE's strategy to meet rising energy consumption and support economic and industrial expansion in times of reduced oil income and budgetary constraints. 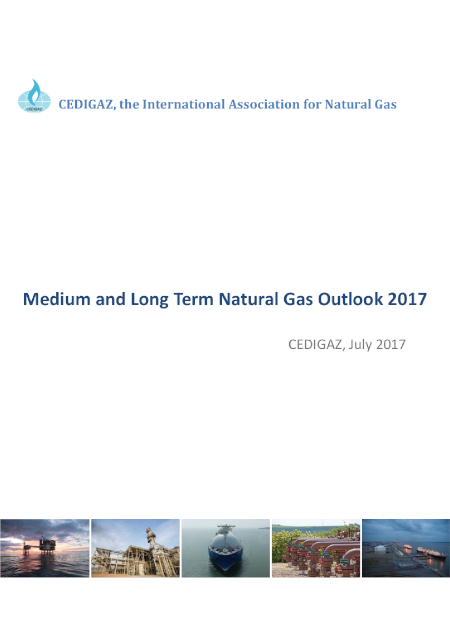 Cedigaz's latest report examines the risks and opportunities inherent to this strategy and asks whether it is viable in the medium to longer term. 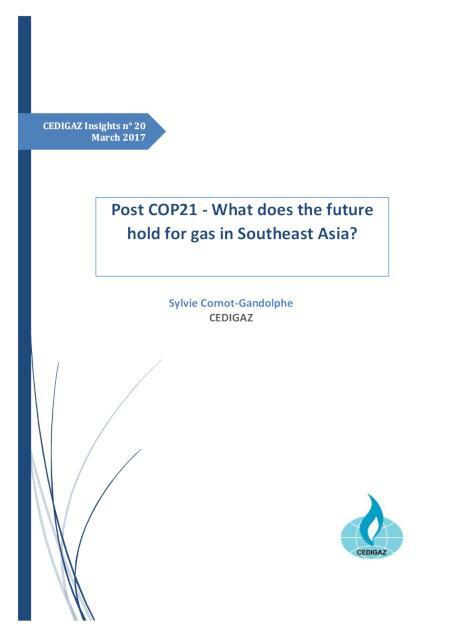 Post COP21 - What does the future hold for gas in Southeast Asia? Controlling greenhouse gas (GHG) emissions and other environmental impacts while ensuring safe and affordable energy for all are the major challenges faced by Southeast Asia. To respond to these challenges, the Association of Southeast Asian Nations (ASEAN) is increasing the share of renewable energy sources in its energy mix and implements measures to reduce its energy and carbon intensity. Surging energy and electricity needs mean that fossil fuels will continue to dominate the energy and electricity mix by 2040. While natural gas is an ideal fuel to reduce the environmental footprint of power generation, competition with coal, stagnation in gas production, lack of adequate infrastructure, have been major barriers to its increased use so far. Southeast Asia has turned to coal instead, which has been the fuel of choice for power generation in the past ten years due to its low cost and ample availability in the region. But as electricity demand is expected to continue surging, and with a growing concern over air pollution and CO2 emissions, the dominance of coal in the Southeast Asian power sector is increasingly called into question. Iran owns the world’s second largest proven gas reserves holding 34 trillion cubic meters of gas. 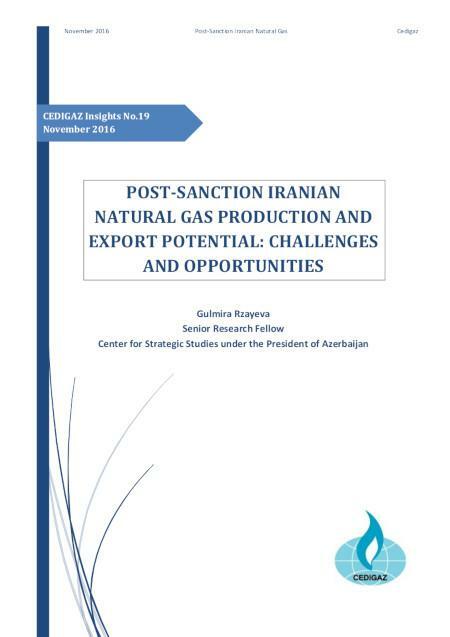 However historically the country has not been able to fully benefit from its huge potential and become a major player in the global gas trade for a number of reasons, mainly the imposed US and international sanctions and an internal legal and contractual regime unfavorable for investment. This has made the country unable to capitalize on its huge natural gas reserves and to duly develop its energy industry potential. 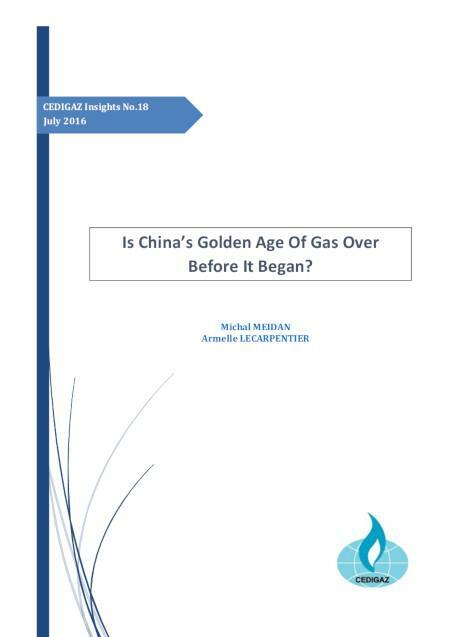 Is China's Golden Agen Of Gas Over Before It Began? Up until not long ago, China’s gas story had been one of soaring demand and insufficient supplies. But since 2014, due to its economic slowdown and the collapse in oil prices, China’s gas market has swung into oversupply. Despite Beijing’s ambitious fuel switching agenda from coal to gas, domestic prices will continue to cripple demand and the government’s consumption targets of 230-260 bcm in 2015 and 360-400 bcm in 2020 will not be met. The author expects China’s gas demand to reach 190 bcm in 2015 and 270-280 bcm in 2020. 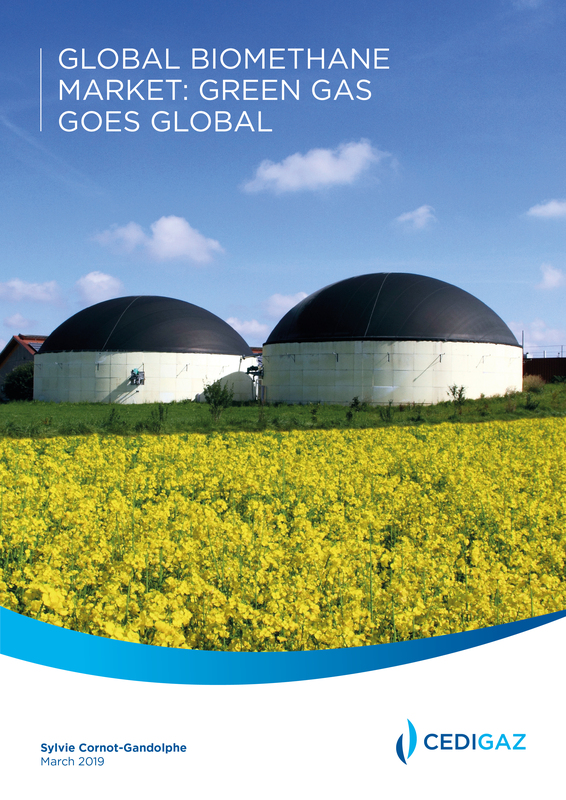 Since its first publication in 1990, "Underground Gas Storage in the World" has been the industry's reference on underground gas storage (UGS). 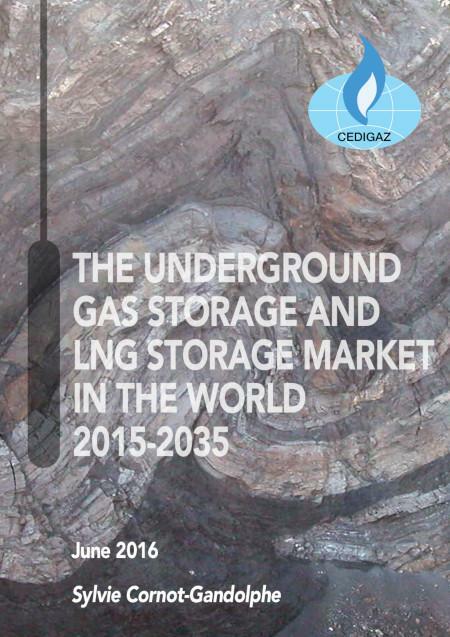 The updated 2016 edition includes for the first time the coverage of LNG storage in the world. 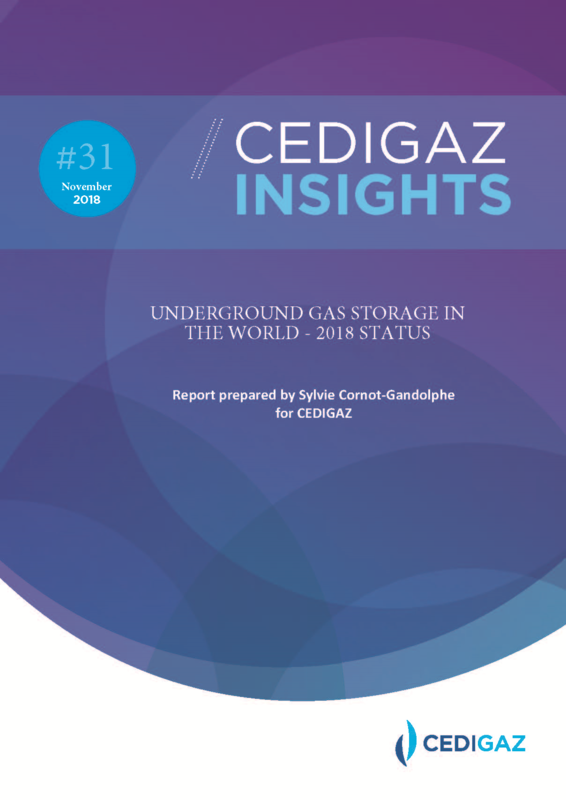 The report includes detailed analyses of the latest developments and trends in the storage industry, CEDIGAZ's Outlook to 2035 at regional and global levels, and extensive country analyses with complete datasets including current, under construction and planned UGS and LNG import facilities for 49 countries. 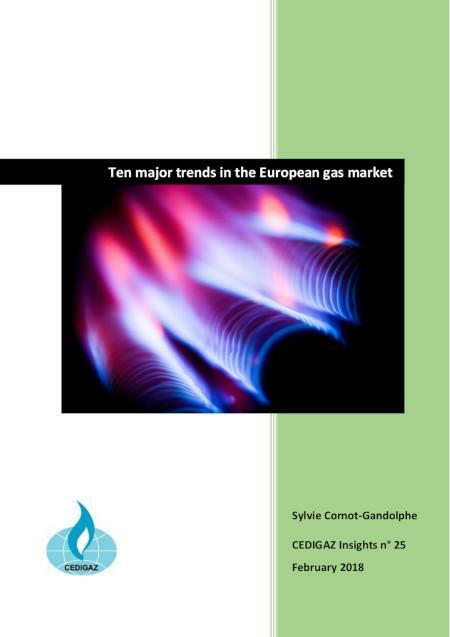 According to the latest CEDIGAZ report, the gas for heating market in Europe, for many years a stable and growing demand source, is on the cusp of significant change, which is likely to lead to major declines over the coming decades. Key uncertainties remain over the pace and extent of these declines, and gas utilities would be well advised to prepare for changes by involvement in district heating and other technologies which maintain gas as part of a lower carbon heating future. Natural gas is the dominant fuel for heating residential and commercial properties in the EU, providing 47% of both input energy and useful heat in 2013. However, gas for heating faces major challenges in coming decades due to calls for greater energy efficiency and decarbonisation of the heating sector. 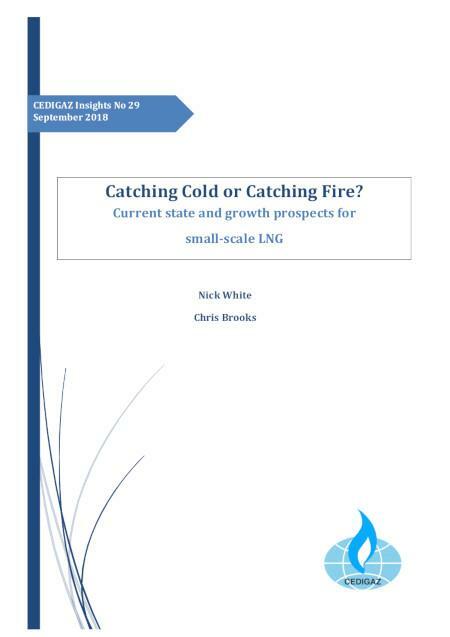 Although, in the mid-term , expansion of CHPs and DHNs provide some opportunities for gas, long-term forecasts show gas demand for heating declining over the period to 2050, but there are significant variations in the future levels from a business as usual scenario which sees gas demand at 165 bcm in 2050 (compared to 195 bcm in 2013) to a high energy efficiency scenario which at only 44 bcm. Gas price subsidies have a significant effect on the gas consumption. Simply put they embody the inexorable link between the price of a good and its demand. By artificially lowering the price of gas, it can become more competitive as a fuel, potentially even crowding out other fuels or technologies, as well as encouraging excessive consumption that would not have occurred in the absence of subsidies. The extent to which either of these situations are the case is dependent on the subsidies of a given country with two particular factors; price/level of discount and how much of the population it is available to. The cheaper the gas the more widespread and heavy its use (or the use of a byproduct of gas such as electricity, heat or water) will be. Additionally if subsidies are extended to larger parts of the population then not only does that increase the amount of users whose consumption may be wasteful but it also extends cheaper gas to richer households who are typically higher consumption users and therefore capable of wasting more. 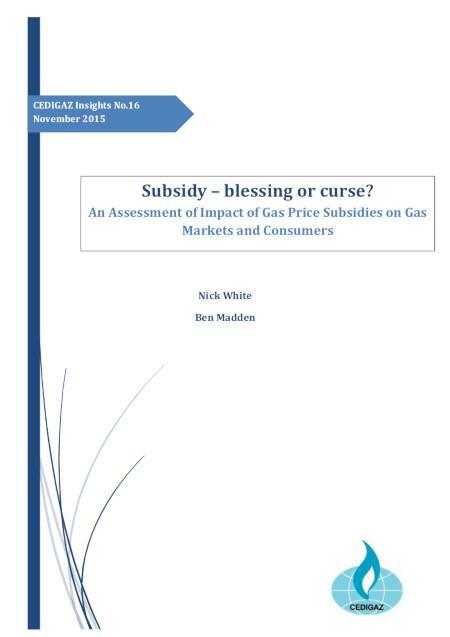 It therefore follows that any countries wishing to reduce or cut their subsidies will likely see their gas demand fall. The oil price decline has left American producers in a situation like that of 2009 following the collapse of the Henry Hub gas prices. At the time, shale gas production was growing fast but demand was depressed due to the effects of the subprime mortgage crisis. Producers reacted by redirecting their investments towards liquid-rich deposits (containing oil or natural gas liquids) and were thus able to benefit from the oil price recovery. This strategic reorientation did not penalize gas production, which continued to grow, thanks to the gases associated with oil production which, in recent years, have been responsible for almost all growth in gas production. Today, more than 50% of the shale gas produced in the United States comes from liquid-rich deposits. Consequently, any decrease in liquids production occurring in reaction to falling oil prices is bound to have major repercussions on domestic gas production. 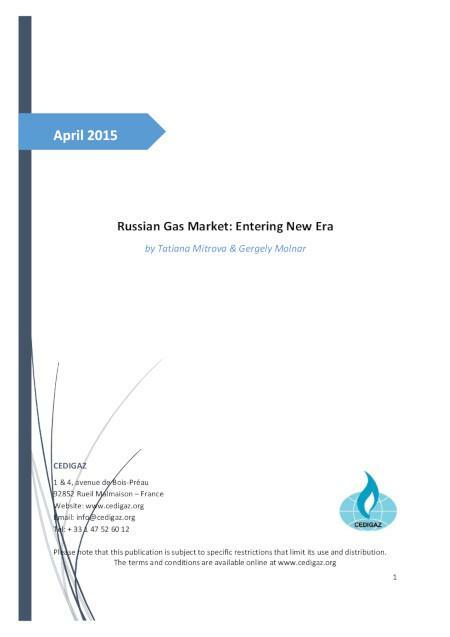 After a period of extensive growth in the 2000s, the Russian gas industry is now facing numerous challenges. Mounting competition by independent producers and the development of new production by Gazprom, combined with stagnating domestic demand and weakening export markets, have created a situation of overproduction, made worse by western sanctions and low oil and gas prices. Expansion to the East thanks to the recent China deal is not expected to provide much relief before 2024. The coming decade will be critical for the industry and its outcome will largely depend on the government's pricing and institutional policies but the role of the state should remain essential. In February 2015, Canada counted 22 LNG liquefaction plant projects – of which 17 are located in British Columbia – representing a total design capacity of 325 mmtpa. Canada has the potential to become a major LNG exporter but no project has received Final Investment Decision (FID) so far. Competition with US brownfield projects with innovative business models have limited the commercial appeal of many Canadian projects relying on oil indexation. More recently, plummeting oil prices have put into question their profitability and lead to several postponements of FID reviews. 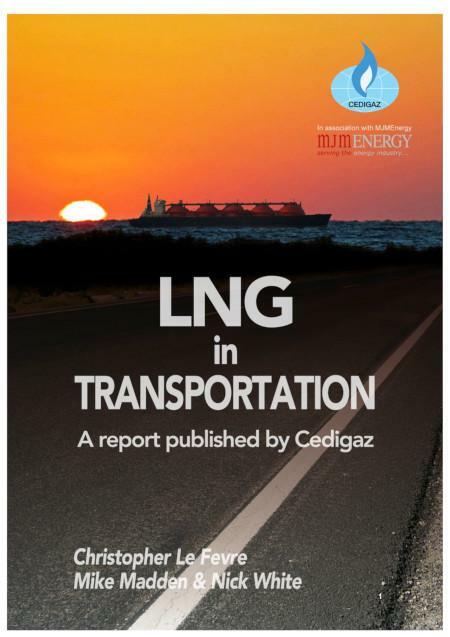 CEDIGAZ’s new report Waiting for the Next Train? 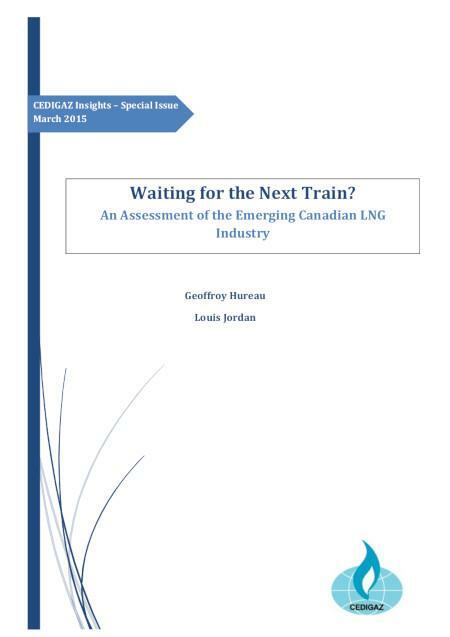 An Assessment of the Emerging LNG Industry in Canada discusses the potential for Canada to export LNG, looking at the initial enthusiasm and wide support by public authorities and local communities but also at the economic challenges and commercial issues that are slowing the progress of these projects. 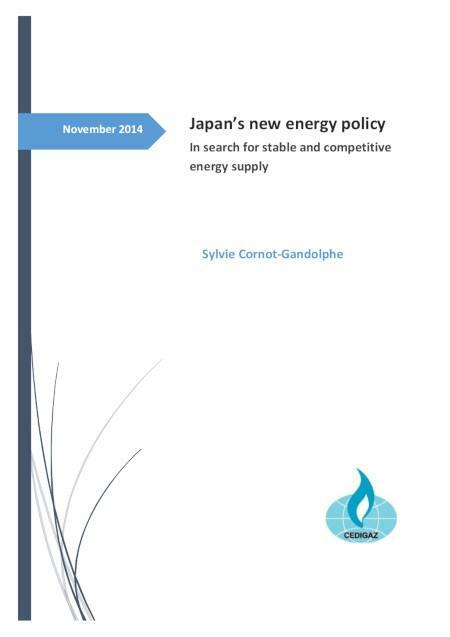 Japan's energy policy is undergoing fundamental changes. The accident at TEPCO's Fukushima Daiichi nuclear power plant questions the future contribution of nuclear power in the national energy mix. Growing imports of fossil fuels to replace the lost nuclear capacity inflated energy prices and raise economic and energy security challenges. At the same time, the US shale gas and oil revolution is reshaping the global energy scene. Japan expects to take advantage of the trend to eliminate the “Asian premium” on natural gas prices and expand cheaper natural gas consumption. These developments have driven the Government of Japan to review its energy policy from scratch and adopt a new Strategic Energy Plan. This new policy has far reaching implications for gas and coal development in Japan but also for the international markets as Japan is the world's largest LNG importer and the second largest coal importer. LNG as a potential transport fuel, especially in shipping and trucking, is attracting considerable interest. This is mainly a reflection of the price advantage of LNG over oil based fuels, especially in the US where the shale gas revolution has driven gas prices to record lows. In the marine sector, the reinforcement of emissions regulations will force ship-owners to move to less polluting fuels or technology and LNG has a number of advantages over other compliance solutions. However, the development of LNG as a transport fuel faces a number of challenges and will have to go hand in hand with the development of fuelling infrastructure. 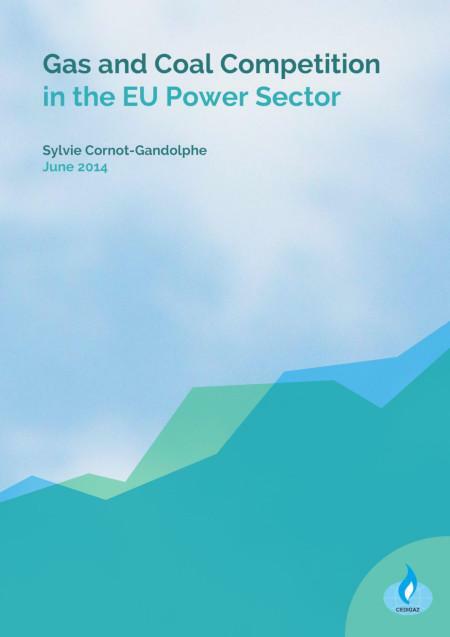 Despite its many assets, a confluence of factors – including flat electricity demand, rising use of renewable energy sources, falling wholesale electricity market prices, high gas prices relative to coal and low CO2 prices – has eroded the competitiveness of natural gas in the EU power sector. The share of natural gas in the EU electricity mix has decreased from 23% in 2010 to 20.5% in 2012. By contrast, coal-fired power stations have been operating at high loads, increasing coal demand by the sector. 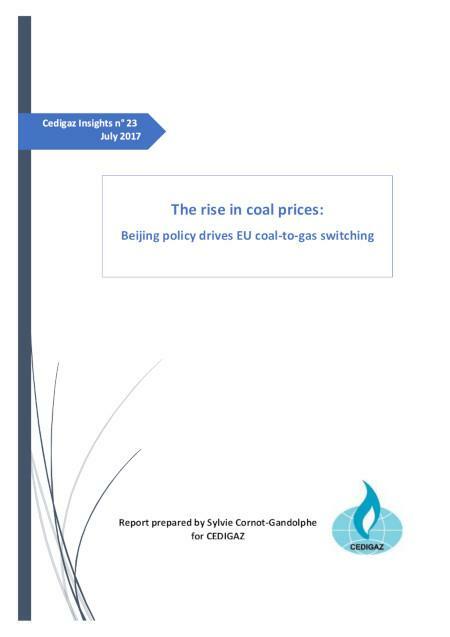 This thorough analysis by CEDIGAZ of gas, coal and CO2 dynamics in the context of rising renewables is indispensable to understand what is at stake in the EU power sector and how it will affect future European gas demand.